Clare native, adopted by Kerry! I received a Bachelor of Science in Information Systems from Limerick Institute of Technology and a Masters in Multimedia Technologies from University College Cork. I now have 10 year’s experience working with large international business and small local business in the areas of web development, digital marketing and social media. I spent four years working for Slendertone as their online marketing manager at the Galway headquarters and subsequently set up my own Digital Marketing business in 2012 which specialises in social media strategy consultancy and social media training for small to medium businesses. I managed a project to build a store locator app for the Clare region which received the FBD Clare Business Excellence Award for Best Use of Social Media and was subsequently rolled out to other counties. I have been lecturing at the Institute of Technology Tralee since 2015 and my areas of Specialism include: Strategy, Social Media, Web and Social Analytics, Lead Generation and Customer Lifecycle. During my free time, I am a keen sailor and surfer! 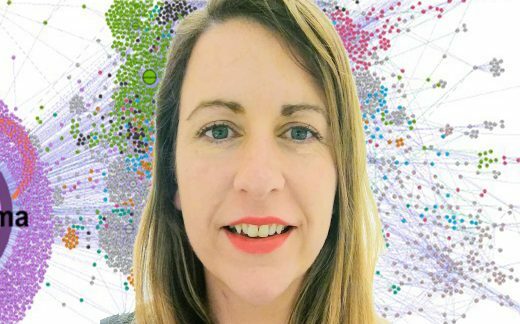 Linda O’Loughlin – IT Tralee BREXIT: Real time network visualisations of Brexit communities on Twitter. Identification of social influencers and community analysis. Data At The Cutting Edge – Where To Next?